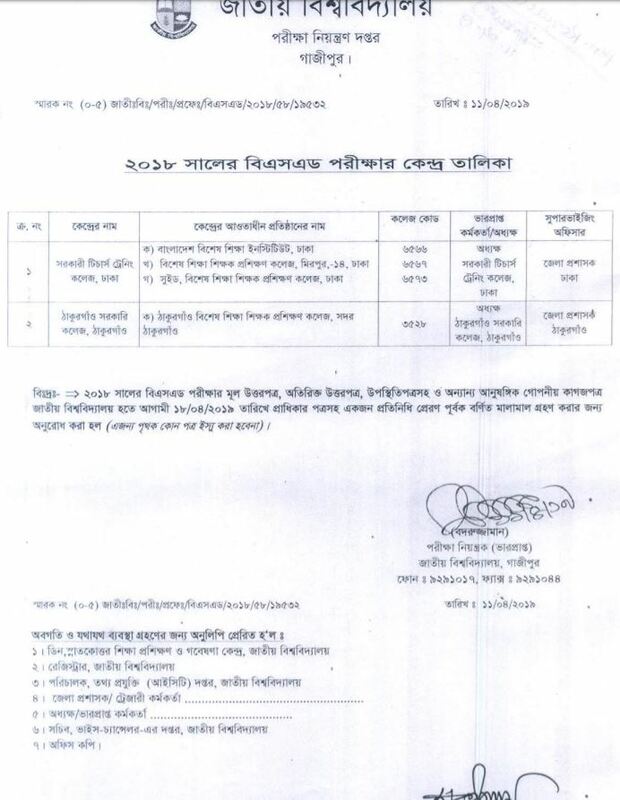 BSEd Exam routine and center list 2018 under the National University of Bangladesh. 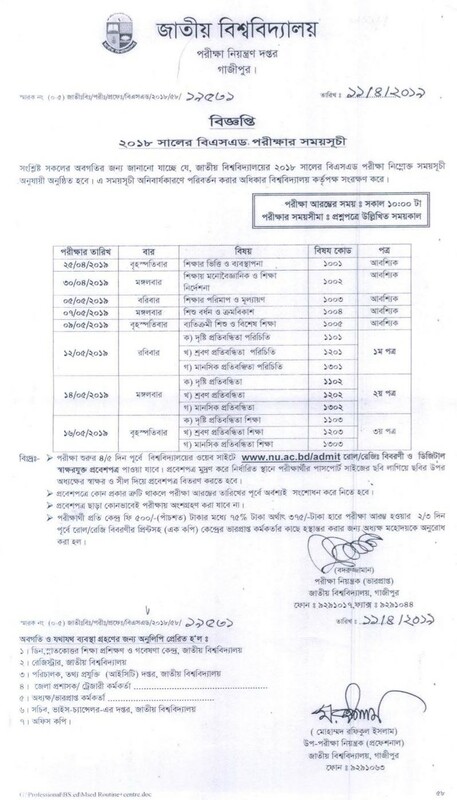 the National University of Bangladesh has published the examination routine 2018 examination held on 2019 with exam center list. the examination deadline 16th May 2019.